B. Company during the Olympics, to ooooh and ahhhh over the precision and talent in gymnastics and to have someone to whom I can say "did you see that???" In the last 24 hours, Lacy has proven herself useful for both. Thanks, rooms. It's nice to be able to follow my gut reaction and sit on my bed curled up with my legs at my chest squealing in a pitch too high for the favela dogs to even hear behind a closed door while you get rid of that sick creation. I can only hope that I will be as useful to you in the coming months. This is why I live in Natal doing the Lord's work. There's nothing better. Nothing. I come bringing good news to you tonight from Natal, Brazil. Francisco, a man who began studying in the LST program while my parents' team was here, was baptized tonight. Francisco was riding his bike past the church building one day and saw the sign for Let's Start Talking. He stopped to ask what it was about and we got him signed up for reading sessions with my dad. Soon after they began their studies in English, Francisco began Bible studies in Portuguese with John, one of the missionaries. Since June Francisco has come two to three times a week for English reading sessions and twice a week for Portuguese Bible studies. Francisco has had a hard life and has been though way more than any one person should ever have to experience. It took a lot of study, a lot of conversation, and a lot of scripture for Francisco to understand that yes, even he is included in God's offer of love and forgiveness. We rejoiced (and I cried...a lot) with our new brother. GOD IS GOOD! In related news, my friend Andy (age 3) called me into the auditorium yesterday to look at the baptistry. He noticed it was filled with water and wanted me to notice it, too. So I took the opportunity, since I am a missionary after all, to see if he had any level of understanding about what the baptistry was for. I said "Andy, do you know what this is?" and he responded "Yep. It's for people to get bat tized." "Good," I said, "so, what happens when someone is baptized?" "They go to God." "Oh yeah?" "Yeah. They lay down, they look to the sky, and that's when they see God." Well done, I thought. That's pretty good theology for a three year old. I was quite impressed and even went to his mom to brag on him a little bit. Little did I know the more detailed explanation I would get just a day later. 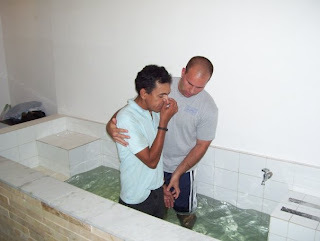 Tonight after Francisco's baptism, Andy called me over again to look into the baptistry. I said "Andy, what happens in there?" "A guy just got bat tized in there." "So what happened when he got baptized?" "He got Jesus." Then, with a gentle pat on his tummy, Andy declared "Jesus is in his belly." Hey, look at me! Only one week between posts! That's gotta be some kind of record. The folks over at BBA (Bad Bloggers Anonymous) would be so proud. If you're wondering why I've continued to be MIA lately, it's because I decided to jump feet-first into American Invasion 2008. Let me lay out a timeline for you just so you can understand what things have looked like around here lately. So, take a guess where that puts me? I am the resident American, the resident LST worker, and the resident speaker of both languages. That means all kinds of grocery store visits, bakery visits, introductions, babysitting, English Bible studies, language instructions, class scheduling, problem solving, etc. But I'm not complaining...I actually really love it! 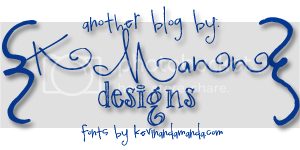 So, that brings me to the point of writing this post. I am signing up for more. I want to stay longer. I want to participate and successfully get through subsequent American Invasions. So I'm fundraising for a second year with a goal of staying until May of 2009. Will you help me? Yes, you. You who are reading this blog. You read this blog, you see the work is good, and I know you want to be able to come back many more times and read about life in Natal. Wanna know how to do that? Go to www.lst.org/2008projects/cris.